In an ably researched and well-told account, Karabell (The Last Campaign) chronicles the origins and legacy of one of the greatest undertakings of the 19th century. While the construction of the Suez Canal across a 100-mile stretch of arid Egypt to link the Mediterranean and Red seas was largely (and rightly) seen as a marvel of engineering and planning, Karabell demonstrates that the political machinations behind the project were just as intricate and daunting. European involvement in the canal stretched back to Napoleon, but the two main players in its execution were the French diplomat Ferdinand de Lesseps and the Egyptian ruler Muhammad Said. 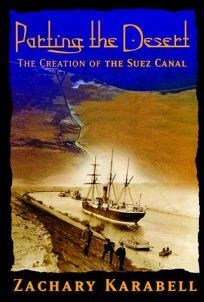 The book skillfully outlines the intrigue among their supporters and detractors without getting bogged down in meticulous detail, and it does the same for the exacting creation of the canal itself. But Karabell does an especially fine job of balancing the ballyhoo and symbolic grandeur of what the canal was meant to be and the more or less forgotten entity it has become. He quotes de Lesseps as saying to Said,""'The names of the Egyptian sovereigns who erected the Pyramids, those useless monuments of human pride, will be ignored. The name of the Prince who will have opened the grand canal through Suez will be blessed century after century for posterity.'"" Ultimately, he was wrong, and the canal became a mixed blessing for Egypt at best. But Karabell's book is more sensitive than damning, and it provides a fascinating look at an early attempt to bridge East and West at a time when such history is particularly relevant.